Sometimes I try ideas out in Visio without a specific goal in mind, and I have been creating a Visio deck of cards recently, so I thought I would share it. 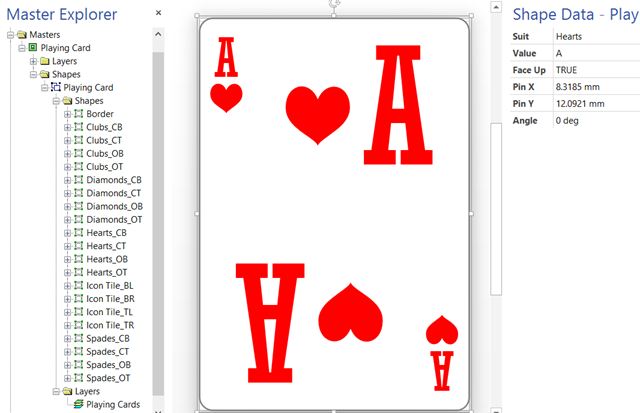 In fact, I have only created one card but it is capable of being any card in the deck by changing its shape data! I can even get a randomly generated card … all without any code except for formulas in the ShapeSheet. Firstly, I used four icons for hearts, clubs, diamonds and spades, from my set of metro icons stencils ( see https://blog.bvisual.net/2012/11/20/announcing-metro-icons-and-a-windows-app-tile-shape-for-visio/ ). I decided to keep the icons for the suits separate, with four per suit, but linked their visibility to a Suit Shape Data fixed list row. 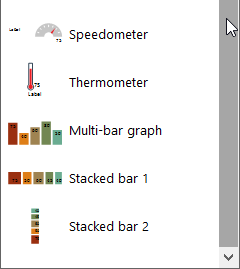 I also displayed the Value Shape Data as the text of each icon. I added a Face Up Shape Data row so that the suit and value are hidden by the Microsoft Office logo. Microsoft Visio Professional has had the ability to quickly visualize shape data with data graphics for a while now. This data can be displayed as Text, Data Bar, Icon Set or Color By Value. 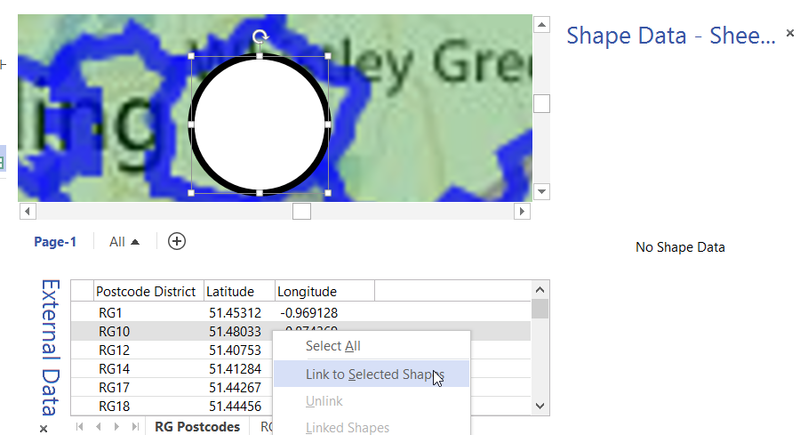 In an earlier article ( see https://blog.bvisual.net/2014/08/21/using-icon-sets-shapes-to-display-shape-data-values/ ), I showed how to enable the shapes in the Icon Sets stencil to be linked to data. Well, I had a similar request recently for the Data Bar shapes. 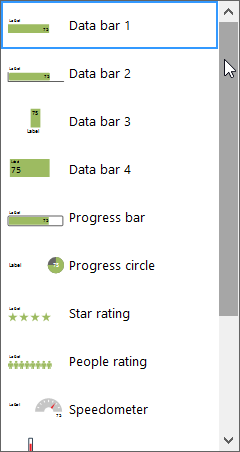 However, Microsoft did not package the Data Bar shapes into a handy stencil, so I have done this for you.